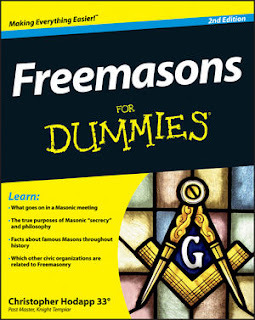 Freemasons For Dummies: UK: "Secret Handshakes, Cheeky Favours and Strange Rituals"
UK: "Secret Handshakes, Cheeky Favours and Strange Rituals"
A reporter from the Plymouth Herald in England went to visit with Brother Clive Eden, who is the Province of Devon's press officer for the United Grand Lodge of England. English reporters are especially obsessed with the Masonic handshake for some reason, and this one is determined to get to the bottom of it. FREEMASONRY is one of the world's oldest secular, fraternal societies. 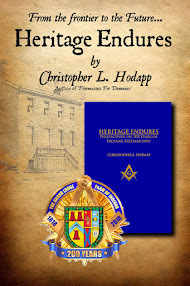 It can trace its origins to a series of documents produced in the 15th century, while the first Grand Lodge - which is the name given to local Masonic meeting places - was founded in England in 1717. The organisation has since spread across the world, with lodges dotted across Europe, Asia, Australia and the Americas. But despite being heavily involved in charity work - second only to the National Lottery in terms of donations made - the Freemasons are continually dogged by wild rumours and public misconceptions. 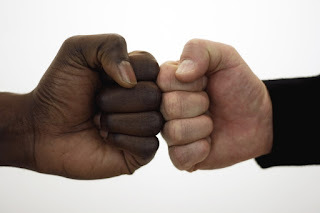 Is there a secret handshake? Do they worship the Devil? Did Freemasons fake the Apollo moon landings? Was Jack the Ripper a mason? Are they connected to the Illuminati? Herald reporter Alex Wood spoke to Clive Eden, the Province of Devonshire press officer and freemason of 25 years, to find out what really goes on behind closes doors. 1. Is there a secret handshake? "There are signs that we know each other by but they're only done in ceremonies," Clive said. "There is a handshake, yes, though they vary from lodge to lodge." 2. Do Freemasons help each other out? Rumours that Freemasons look out for one another are well documented. There are often suggestions that if you are caught speeding and pulled over by a police officer or brought before a judge in court, letting on that you are a Freemason could just be the difference between a ticking off and a prison sentence. "I wish that was the case!" Clive joked. "There is no way that could or would happen. Handshakes and passwords are Freemason secrets used to identify each other, but these are about rituals. "It's not about getting away with things or calling in favours." 3. Speaking of rituals, what are these? They sound slightly sinister. "Rituals are not superstitious, not at all," he said. "Rituals are used to initiate new members. There is nothing sinister about them - they are just plays. "They are learnt by heart and performed within each lodge. Rituals follow ancient forms and use stonemasons' customs and tools as allegorical guides. "The plays are written down in a book and you must learn them. By performing them, you learn about yourself and lots of masons say Freemasonry has enabled them to speak in front of large groups with confidence."